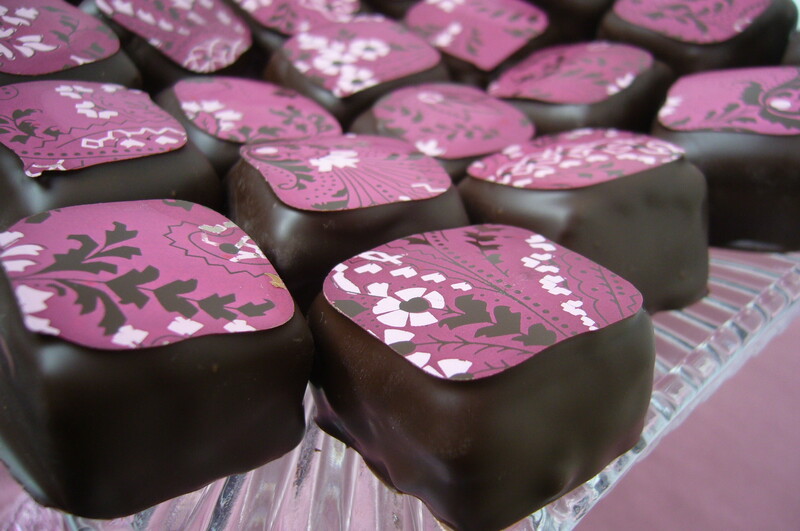 Dark raspberry bonbons. Bright, colourful, fruity, rich. A winning combination. Can you tell I’m feeling summery? In other news, I had a great afternoon out at The Chocolate Festival today. Highly recommended if you are out and about in London this weekend! Lots to taste, some interesting new flavour combinations, and best of all, you get the chance to chat to some of the top chocolatiers in the country. One of my tasting favourites was a cobnut brownie from Marc Demarquette, though I also enjoyed sampling chocolate from Original Beans and many others! Topped off with beautiful sunshine and lots of happy chocolatey faces. but I’m not in London – you’re just teasing now! Those chocolates look absolutely stunning…. Thank you so much 🙂 It’s worth a trip up to London!